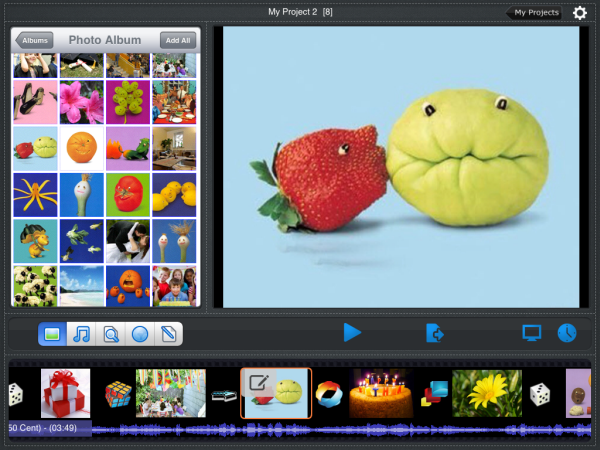 This article is about downloading Picasa Web Album pictures to your iPad and convert them to Slideshow with music for enjoying and viewing. Uploading pictures to Picasa is a great way to save and share photos with friends on line. 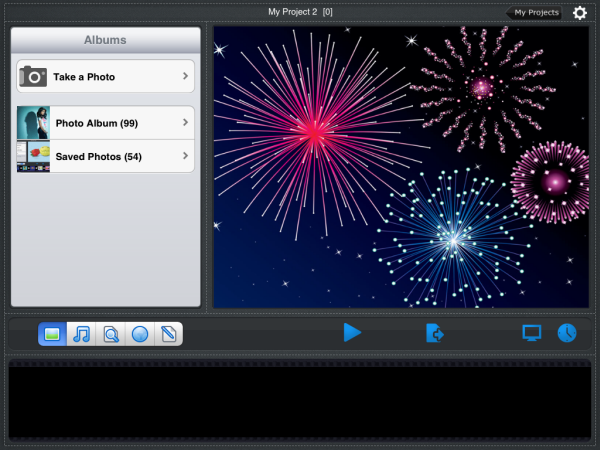 However, sometimes you need to move these photos from Picasa to iPad and enjoy them on iPad. 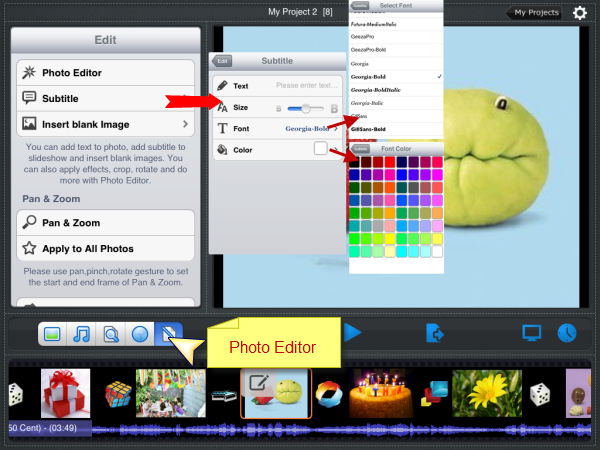 So how can you transfer Picasa photos to iPad, even make a slideshow with Picasa images with music and other effects? 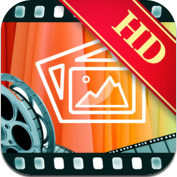 In this case, you can use an iPad app named Photo Slideshow Director HD to help you. 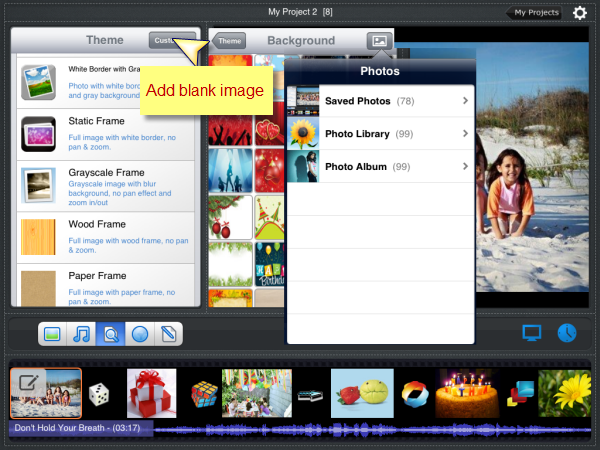 With this cute little app you can turn your Picasa web albums into eye-catching slideshows in minutes on iPad. Then play the slideshows on big screen HDTV so everybody will be happy to enjoy the slideshows. 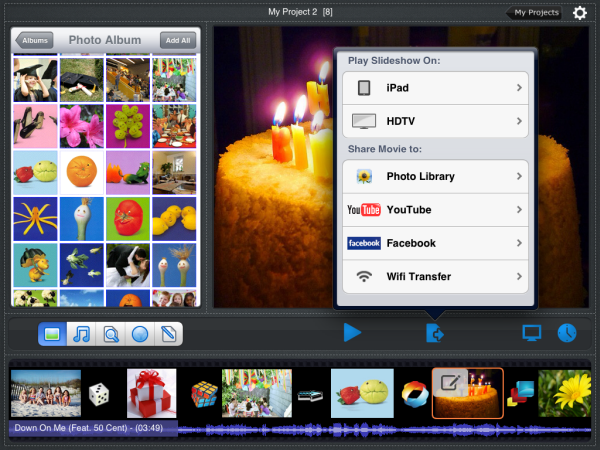 This guide will show you how to transfer Picasa Web Album into slideshow on iPad then play on HDTV step by step. First of all, we need to go to app store and get the app help: iTunes Store -> App Store -> iPad -> Photo and Video -> Photo Slideshow Director HD , download it. After the app was correctly installed, launch it. Then you will have a view similar to the one below. Here you can add photos from iPad album but if you don’t like, I’d like to show you how to import Picasa web album into Photo Slideshow Director HD on iPad. First of all, we should sign in the Picasa account to locate the album and choose photos for the slideshow. Please tap the “Web Albums” icon then it will pop up a selection view about Facebook, Flickr, Picasa web album. 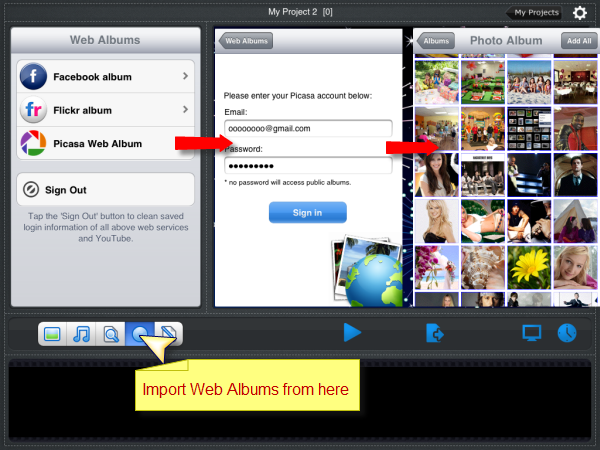 Choose the “Picasa web album” option. Enter your Picasa ID and password. Touch every picture you like. If you want to import the whole album please tap the “Add All” option so all of the pictures on Picasa web album will be added into your iPad. You can add a subtitle to each photo, like where or when it was taken, or on which occasion/event, with whom and so on. You can adjust the font, font size, and font color according to the content or the tone of the photo. There are a big bunch of choices for you. No slideshow can go without music. Photo Slideshow Director HD is also no exception. You can choose background music from your iTunes library. After the music is added, there will be a stream line under the photos. And you can listen to them, displace them, or remove them from the slideshow. 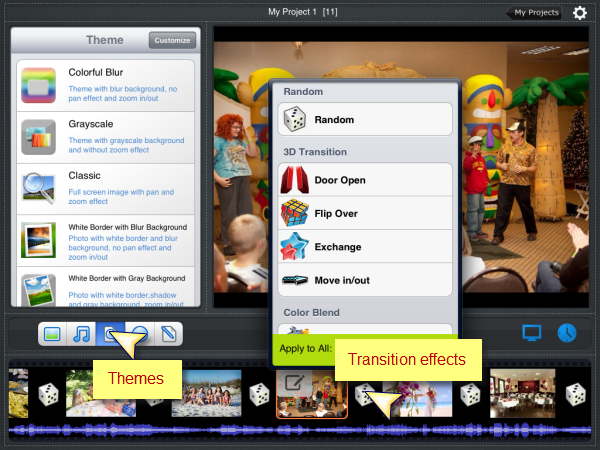 There are more than 50 transition effects and more than 10 themes for you to choose. These features will make the whole slideshow more interesting and more attractive. To demonstrate the photos and slideshow even better, you are able to add a blank image into the slideshow. On this page, you have chance to tell the viewers about the history or anecdote about the photo or the slideshow by adding a small text on it. Background for this blank image can also be customized. There are a few examples in the app which you can choose from. If still not happy with them, you can click on the button on the right to add your own background image. There is a “Setting” button on the top right. Tap on it and you can reset the time for each slide and transition. Default value for show time and transition time is 4 and 2 seconds. You can set the value between 1.0 – 10.9 seconds in line with your needs. Choosing the Time option can make music and slideshow synchronization, too. Touch and move the switch On, if the slideshow photos duration is shorter than music, the system will suggest you adding more photos or change photo duration. Now you have finished preparing the slideshow, you can play the slideshow movie on HDTV or upload to YouTube, Facebook directly or transfer it to your desk PC if the iPad has WiFi connection. Except playing slideshow movie need to connect your iPad to your big screen HDTV with a HDMI cable, you don’t need any USB cable when you save slideshow on iPad, transfer to pc or upload to YouTube and Facebook. 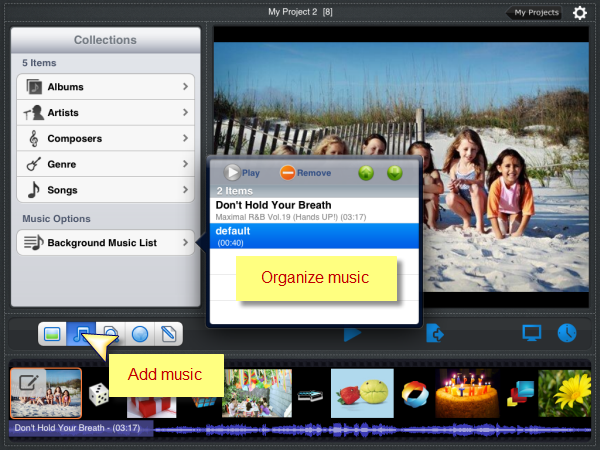 Now you can enjoy your Picasa web albums on HDTV with all of your friends. Have fun! How to Transfer Slideshow Video Files Via Wifi from iPad to Desktop PC? How to Play iPad Slideshow Video on HDTV with Apple Adaptors?